Sometimes, you find sweet dessert finds where you least expect them. 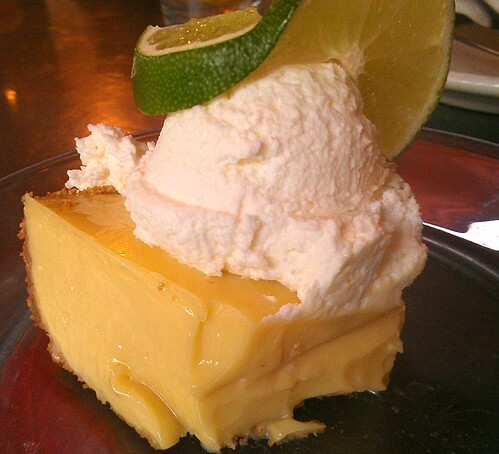 For instance, I would not have thought that Santa Fe, New Mexico, would be a great place to get an authentic slice of Key Lime Pie. Turns out, I was wrong, because they're selling the good stuff right at the Zia Diner, not far from the central downtown area. How delightful to be surprised like this! Before sitting down for some savory food. After dinner, though, you can bet your bottom dollar we were ready to see the dessert menu! When asked what was good, the waitress said that if there was any part of us that held love for key lime pie, we simply had to get theirs. "Is it made with real Key Limes?" I asked. Apparently, yes. She also told us that Floridians have a way of testing a pie to see if it's authentic from the get-go: they look at the color. Artificially tinted or regular-lime only impostors will not have the correct color, which is kind of a custardy yellow (not green!). She also told us that Floridians approved of this pie. But would a Spy? Yes! Oh my! This pie was very, very good. Shockingly tart on first bite, but subsiding as it warms in your mouth to an even, tart-sweet richness. 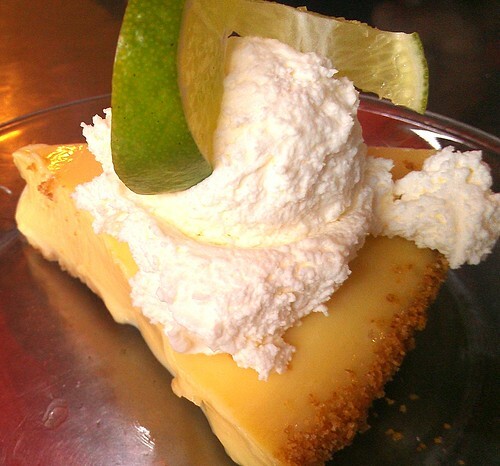 Zingy citrus--this pie tastes like sunshine. A very nice texture, sort of like that of panna cotta--it didn't collapse when cut into, but wasn't stiff or too firm, either. Soft...yielding. I was very impressed by this Key Lime Pie, not only because it was delicious but that it was proof that sometimes, even a professional dessert detective can be pleasantly surprised by a sweet in the most unexpected place! 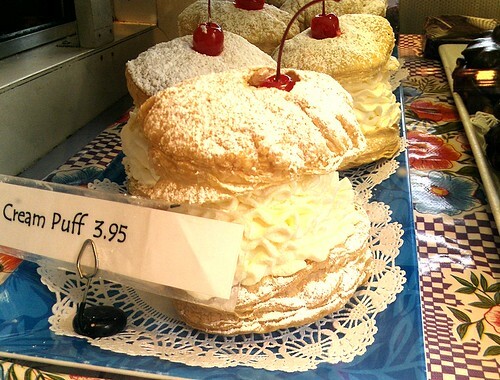 If you're not in or near Santa Fe, however, you can enjoy the dessert gallery on their website (why doesn't every restaurant do that?). Zia Diner, 326 South Guadalupe Street, Santa Fe NM; online here.